Veneers are a wonderful choice for those patients who suffer from some common dental flaws. We do offer porcelain veneers here at Wu Dental and Dr. Wu and his team would love to sit down with you and discuss your options. Our veneers are made from porcelain and are designed to hide some of the common dental flaws that may make you self-conscious and prevent you from smiling out in public. Veneers are a permanent solution and they provide you with a smile that is polished and the appearance that you are after. Dr. Wu and his associates are able to offer you porcelain veneers in just one to two visits in our office. The process is comfortable, and you will be able to hide gaps, stains, and unevenness on the surface of your teeth in no time. Dental crowns are used for a number of reasons and the two most common reasons are to protect a tooth or to replace a tooth or teeth. 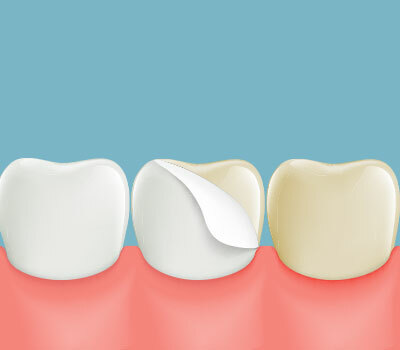 Often referred to as caps, they are used to improve the overall appearance of a tooth and maintain the tooth’s functionality. Crowns are often used in cases where the tooth has been damaged due to a severe infection, decay, or has been broken or compromised. 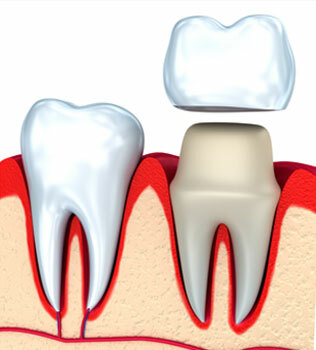 Crowns are also used to replace teeth that are missing as well. Dental crowns do come in a variety of materials to include porcelain, ceramic, stainless steel, and resin. If you would like to learn more about crowns and porcelain veneers, now is the time to call us at (650) 571-6666 for our San Mateo office or at (650) 718-5086 for our Mountain View office.